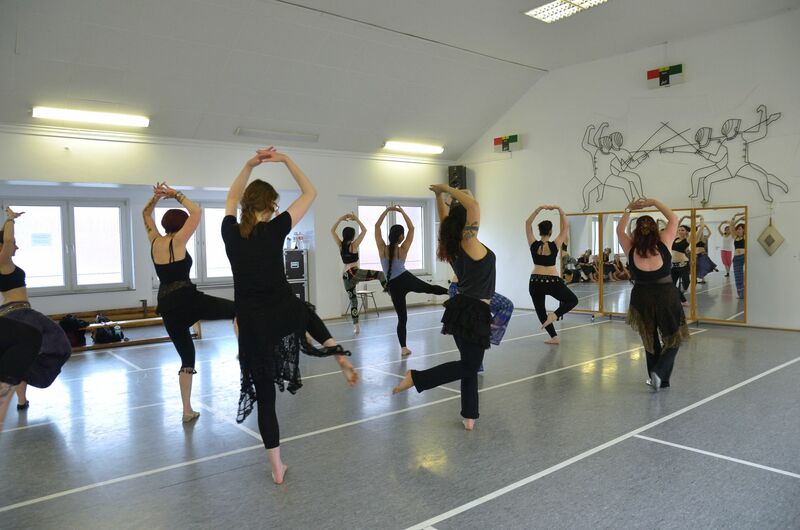 We celebrate the 20th WoO edition with oriental dance friends around the world. Be part of this terrific and unique festival, with the biggest european trade fair and enjoy a unique and amazing atmosphere! The World of Orient 2019 offers you a galaxy of the world´s famous bellydance stars in a pleasant, familiar and informal atmosphere. Meet international stars and many more fantastic dancers from all around the globe at the shows, during the workshops and in the midst of the oriental shopping area at the big 2 days trade fair. Enjoy a full day of activities, meet your stars, shop until you drop at our oriental shopping wonderland. The unmissable shows on friday and saturday night are the perfect opportunity to see international stars from around the world in a wide variety of dance styles. The shows are legendary for being the most innovative showcases in europe. The shows will be sold out. So the tickets have to be ordered in advance. German visitors please check out the german link Kartenvorverkauf. 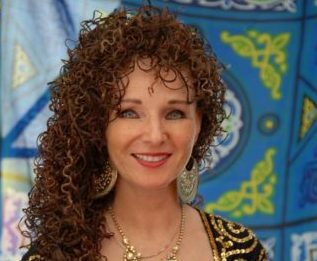 Enjoy our fantastic workshop program: This year we have a very special workshop program with some of the biggest world bellydance stars ever. 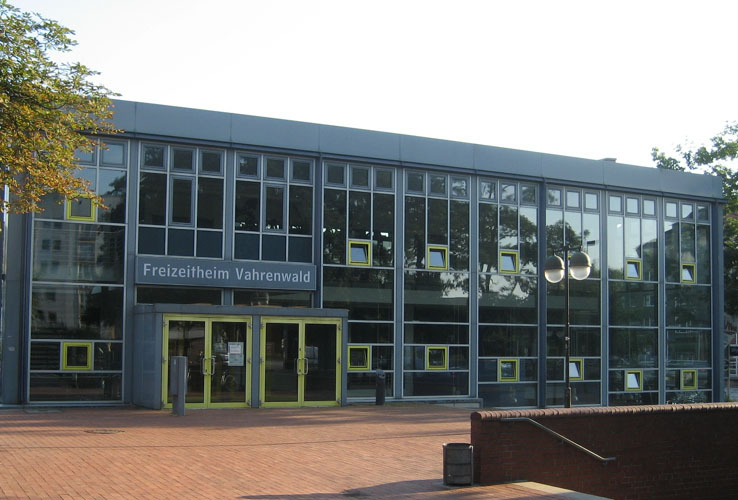 The Open Classes are free for visitors of the trade fair. 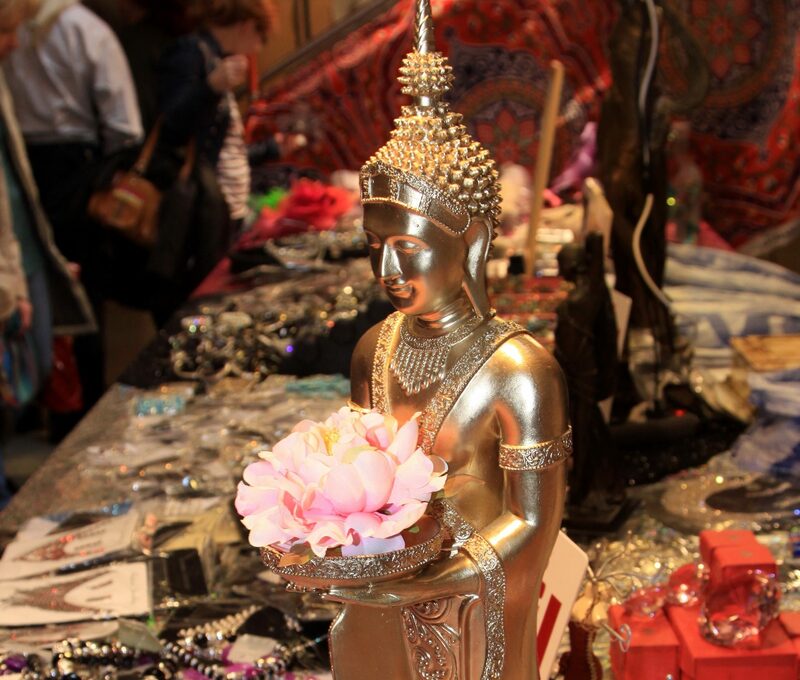 Shopping at the biggest European Oriental Trade Fair!!! Two days on three floors – enjoy this incredible shopping paradise! 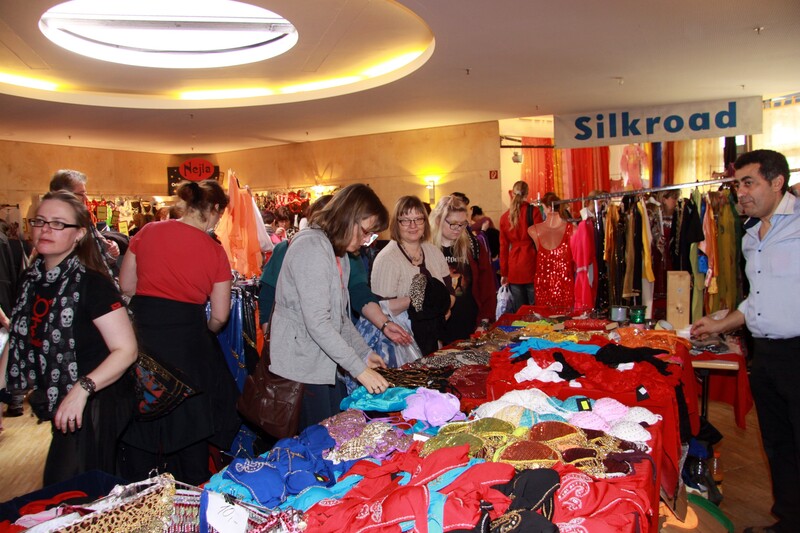 The WoO trade fair with over 50 national & international vendors is the biggest of its kind in Europe. A phenomenal oriental shopping wonderland which offers a large selection of dancewear, music, accessories, the trendiest styles and everything you need for class or performance. 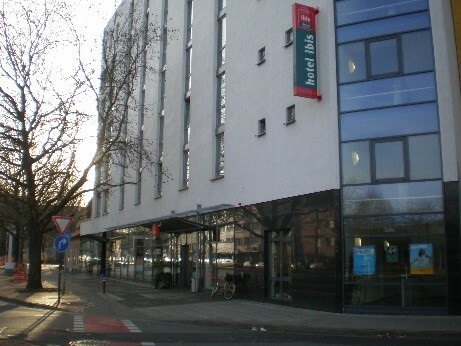 15 min by car and 40 min by subway from Hanover Airport to the hotel Ibis and trade fair location. Distance fromTrade Fair Location and HotelIbis to Langenhagen: by car / taxi about 10 minutes, by public transport about 15 minutes. Detailed information about the WS-places are published at www.world-of-orient.de one week before the festival start: otherwise, please call or mail for details. So please ask for the current hotel and overnight offers and order the current hotel list with the latest best price offers. Be part of it and show your talent on stage! Perform for an enthusiastic audience at the „World of Orient“ Main Fair OPEN STAGE and show your talent at one of the biggest bellydance events in Europe!